You are here:Home>ERISA>“Fairness and Accuracy” In ERISA Disability Claims? The federal government has imposed new ERISA regulations on employment benefit plan managers that officials hope will make it easier for ordinary people to obtain disability benefits. The new rules are vast, but they require a whole series of new steps “to ensure independence and impartiality” in reviewing initial claims or appeals and they require plan administrators to provide “a complete discussion” of the reasons for denying claims, to provide timely notice to claimants so that they can review their files and to write all of their notices in “a culturally and linguistically appropriate manner.” There are also provisions that may allow people to go to court earlier without having exhausting all their internal, company reviews. The Department of Labor rules, nearly two years in the making, took effect earlier this year. In publishing them, Labor officials said they were swayed by disability rights advocates who convinced them that insurance companies have too many economic incentives to deny disability claims. “The final rule also will help alleviate the financial and emotional hardship suffered by many individuals when they are unable to work after becoming disabled and their claims are denied,” Labor officials said in announcing the new rules. Many advocates hailed the rules a positive step, but they also acknowledged that there is still a long road ahead. ERISA remains an enormously complex field, and insurance companies’ economic incentives can’t be changed by a stroke of a pen. 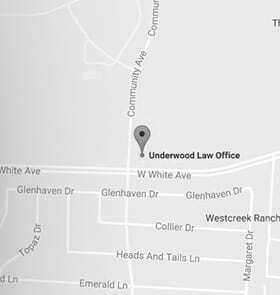 Here at the Underwood Law Offices, we’ve worked for years to help people obtain the benefits they deserve. If you or a loved one thinks you’re entitled to disability benefits, contact us today.